Luxury vinyl has aesthetics that are only rivaled by its performance. 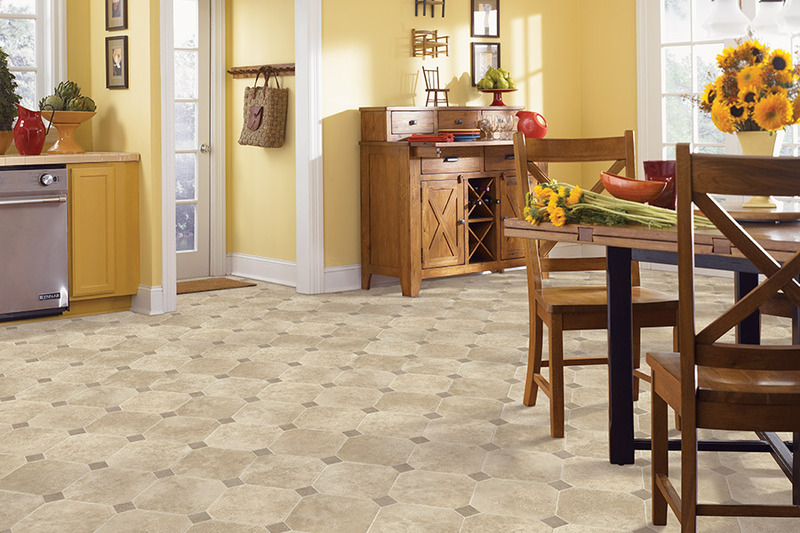 It is the new durable standard for vinyl flooring. 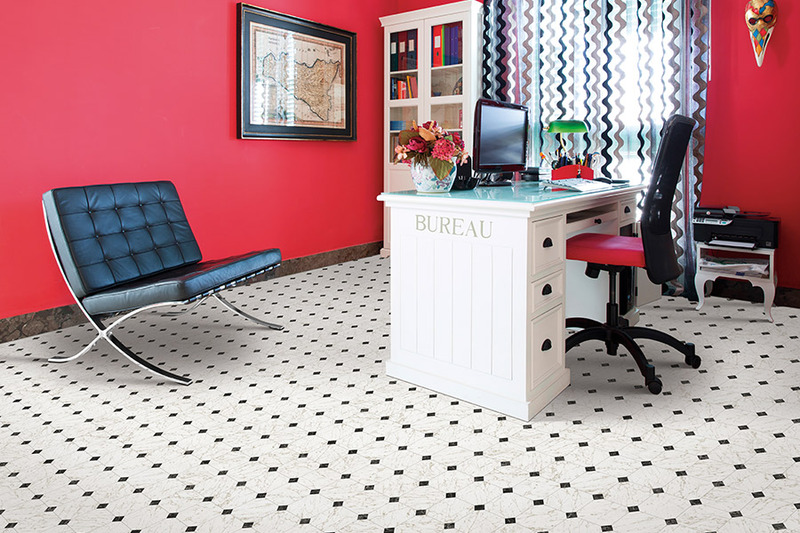 Advanced print and texture technology imparts a feel and look that surpasses vinyl flooring of the past. There are dozens of stunning visuals available in luxury vinyl. You can have your choice of smooth, rich slate, beautiful stone, or rustic wood grains. Every pattern is enhanced with the use of technology to produce vibrant, crisp colors. There are performance levels that will suit your space and lifestyle. You choose a color and pattern you love on the performance level you need. Luxury vinyl brings lasting beauty to an area. The styles of luxury vinyl are unparalleled in performance. The following is not a complete list of designs available in luxury vinyl. They are meant to serve as inspiration and as examples of the versatility provided by luxury vinyl. Deco designed luxury vinyl – The deco design uses intertwining symmetric patterns that create ornamental, intricate florals that impart colorful interest and rustic design. Geometric designed luxury vinyl – A bright, cohesive floor is formed by tiles that appear to interlace. The design puts a contemporary edge on a classic look. Limestone visual luxury vinyl – A chic, timeless look is created with the stylish form, texture, and color of a realistic limestone visual. A designer has suggested using 'limestone' luxury vinyl in a unique honeycomb pattern. Concrete look-alike luxury vinyl – A plank layout of an urban concrete look is a dynamic mixture of texture, shadow, and light. 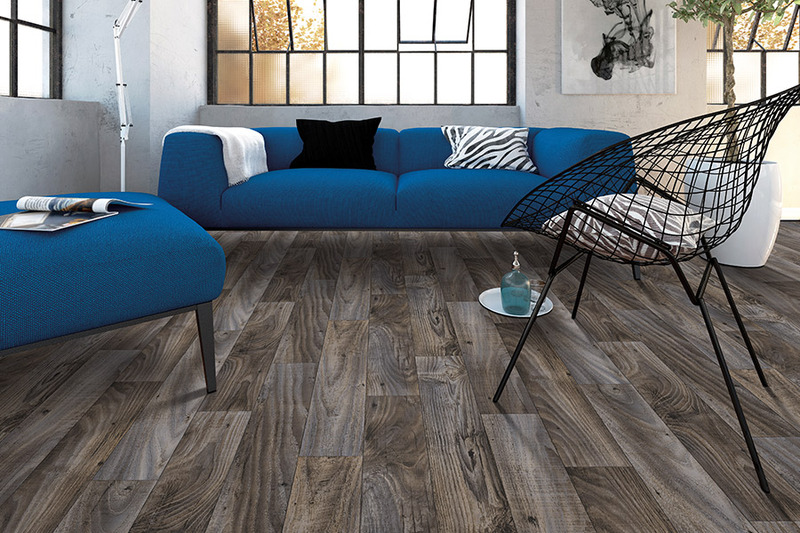 The luxury vinyl gives any modern interior a sophisticated, industrial look. 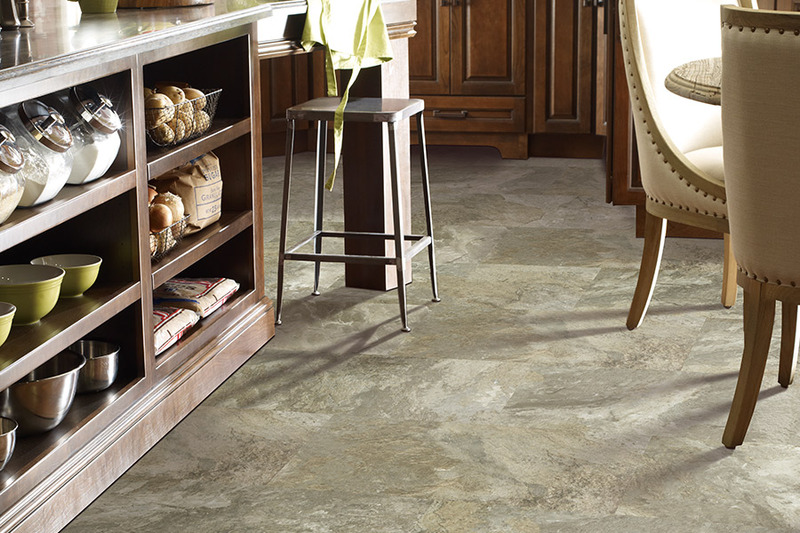 Travertine designed luxury vinyl – This is a stunning design that features beautiful color variation and realistic detail. It transforms a room into an awe-inspiring environment. 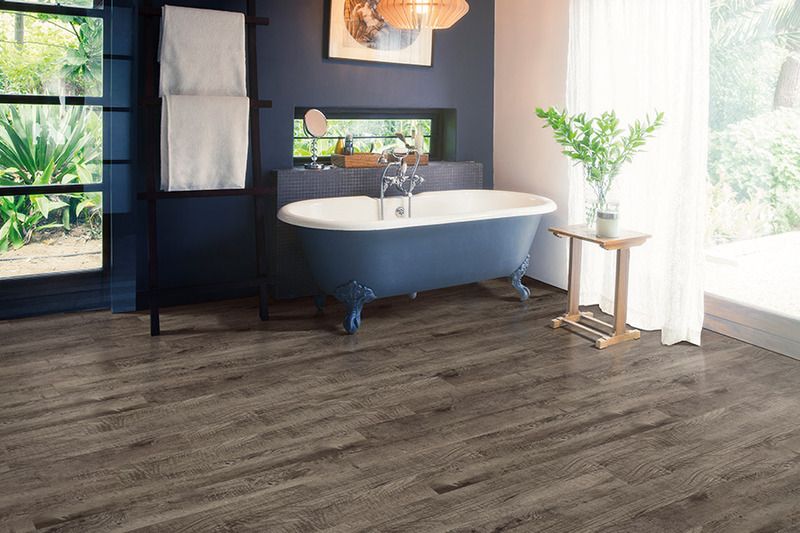 Hardwood look-alike luxury vinyl – An entire article could be devoted to luxury vinyl that replicates wood. 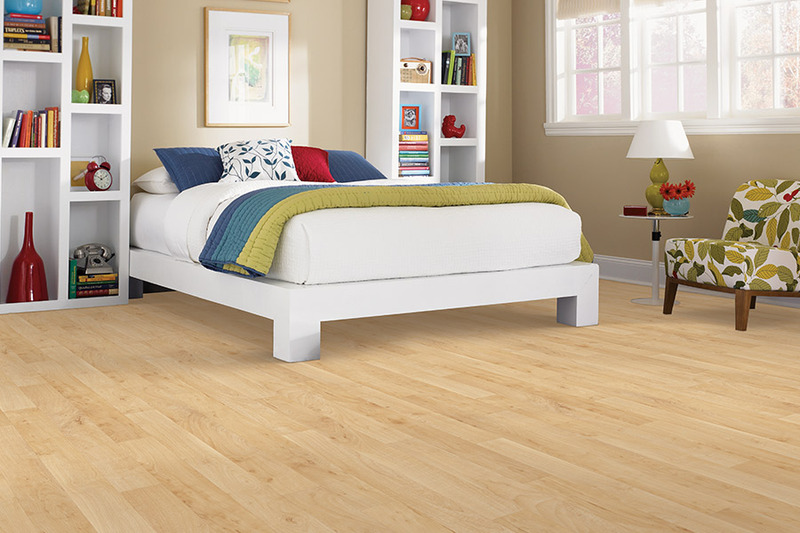 Planks are available that are the same dimensions, textures, and species appearance of hardwood. Come visit our South St. Paul showroom to see for yourself. 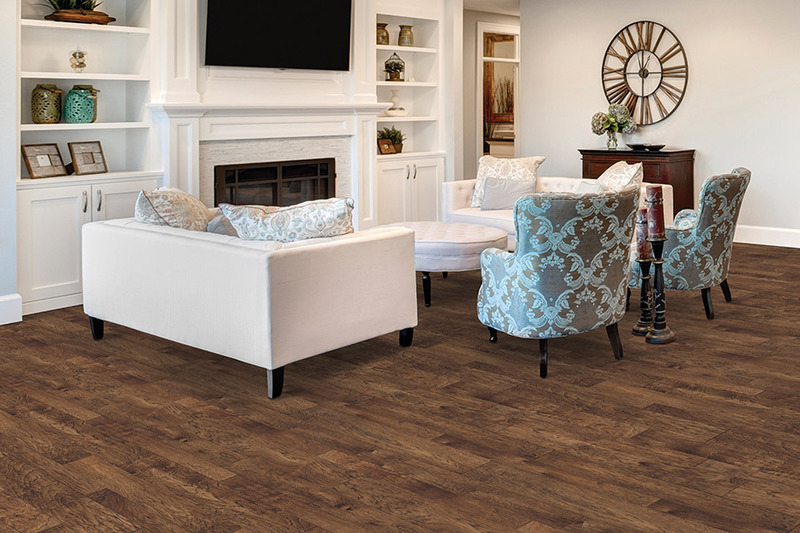 Bauer Floor Covering has helped people from Woodbury, West Saint Paul, St. Paul, South St. Paul, Mendota Heights, Inver Grove Heights, Eagan, and Cotton Grove make the difficult choice of picking a style of luxury vinyl for their homes.